This was another great and successful give away with our friends at Flex Reaction! This time it was for the extremely useful Compound 88 Loop Strip. I love this thing. 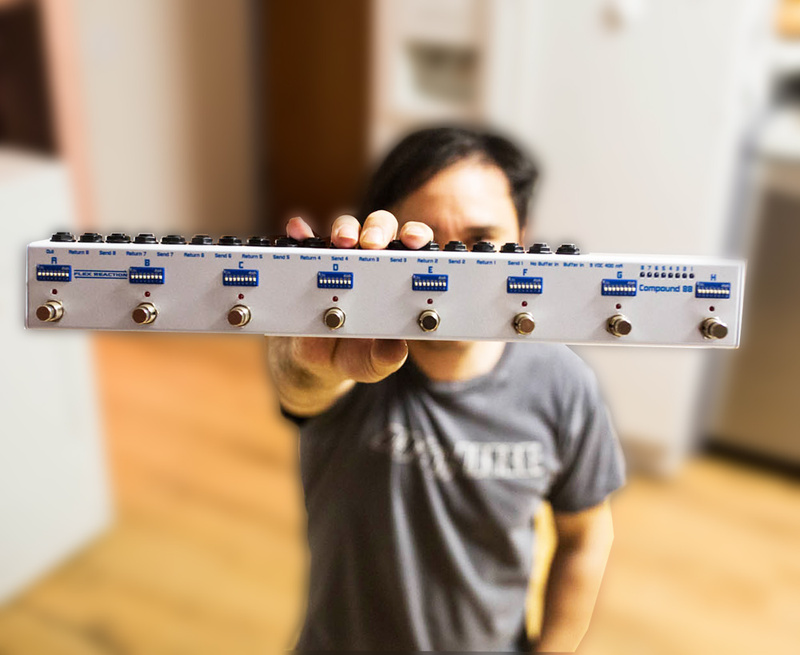 If you’ve been interested in going to a looper to manage your pedals (and want something insanely easy to program/configure) you need to seriously take a look at Flex Reaction’s set of loopers. Great stuff. For this give away, I thought it would be cool to also include a set of Rattlesnake Cable Company patch cables that would work well with this looper.These patches have a G&H Stubby Straight on one end to GLS Pancake on the other. The straights are perfect for a looping system like this. This set included 2x 8″, 4x 12″ and 2x 18″ cables. Total retail value of this package is $431. Not a bad haul! Based on the number of entries for this give away, it was clear that you guys wanted in on this action. Today, I wanted to announce that we have a winner for this give away. The winner of the Flex Reaction Compound 88 and Rattlesnake Cable Company Patch Give Away is Brian W. of Anderson, IN. Congrats Brian! The package is on it’s way as I type this post out! Please let us know what you think about the looper – and send us a pic! I’ll be announcing another give away very soon, so be sure to keep an eye out for that. If you’re interested in keeping up to date on give aways and posts, be sure to sign up to our mailing list.